We have been thinking lot to find alternatives to paper and plastic cups, or designs that reduce their waste, but what said in this post has to be a new favorite. 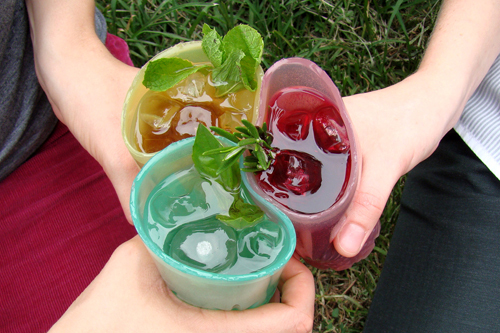 Designers at The Way We See The World have envisioned picnickers everywhere using jelloware, an incredibly yummy version of disposable — or rather edible — cups. Jelloware re-imagines the concept of drinking, and imparts a new experience in the way it feels, tastes, smells, moves, and is even disposed of. 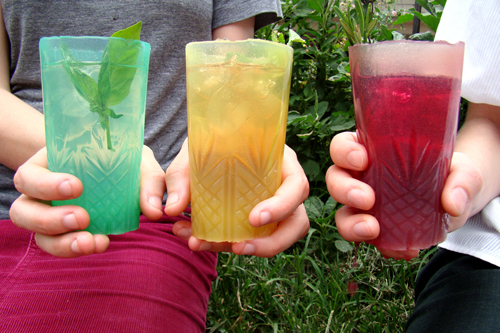 The cups are made entirely out of agar agar and cast in different flavors, such as lemon-basil, ginger-mint, or rosemary-beet, each specifically designed to compliment a corresponding drink. 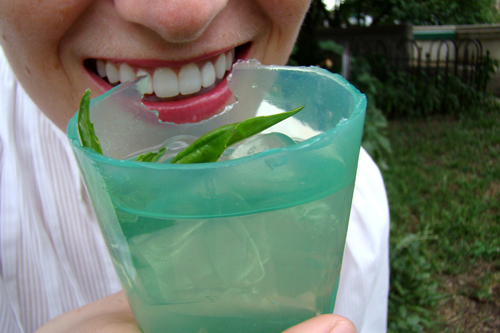 Once used, the Jelloware can be simply tossed onto the grass where agar agar would nurture the plants to grow, making these cups an ideal substitute for disposable plastic and paper cups. Really interesting and appealing concept. What do you think? Previous story Suitcase Stickers, Creative or Crazy?